Level Up! 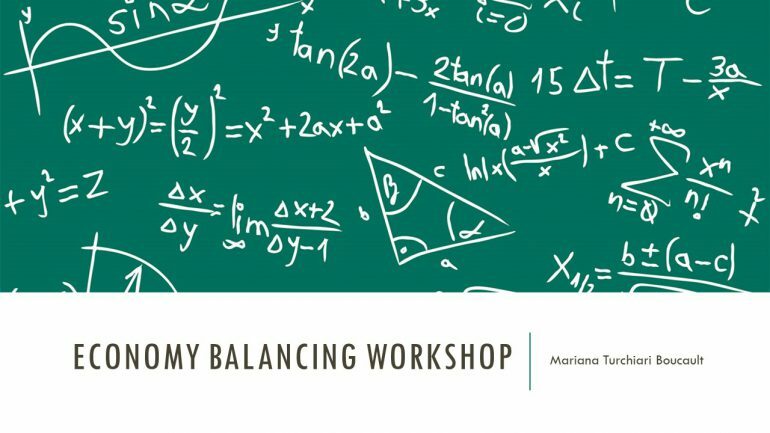 wish an happy new year and is proud to announce a new workshop with Mariana Boucault, who will show us a methodology to balance game system. The workshop will take place on Friday, February 9th at TAG. Please don’t forget to register! After this workshop you will be capable of adapting the simulation created for other types of games. The workshop will be taking place on Friday, February 9th at 6 PM – 8 PM in 11.425 at the EV building of Concordia University (metro Guy-Concordia) (NB: We may change rooms depending on the size of the group). Mariana Boucault is a Game Designer working on For Honor at Ubisoft Montreal. She has been working in the games industry for 8 years, mostly with Free-to- Play games. She has published over 20 games and worked on the balancing of more than 10 different games. In her free time, she likes to discover new board games and paint miniatures. Don’t hesitate to get in touch with her, especially if you are interested in game balancing, Excel wizardry or general feedback on your game!